We’re happy to have Darcy on the blog today! Do you remember her amazing smocked Garden Party Dress? 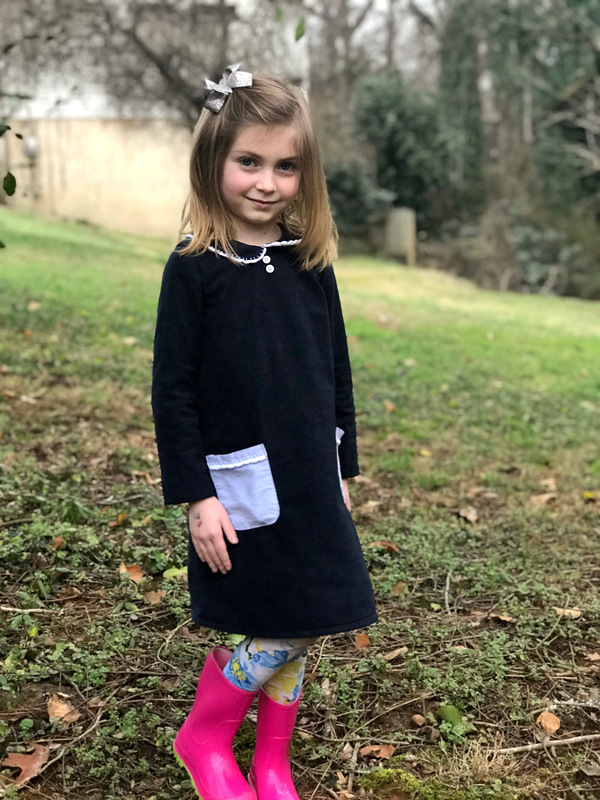 She is stopping by to share a bit about her favorite Oliver + S pattern and show us the fantastic versions she has made. Thanks so much for being here Darcy! Hello! My name is Darcy Struble. 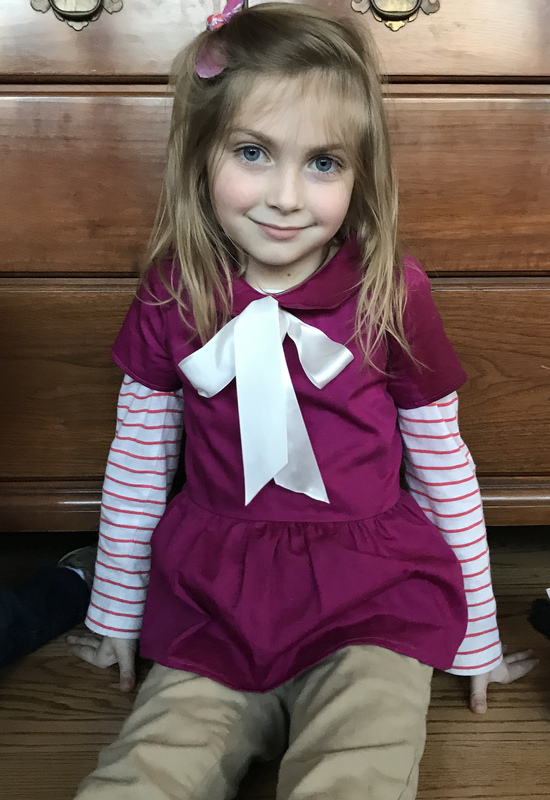 I am a member of the Advisors Circle and I have been sewing with Oliver + S patterns since my daughter was born, almost 6 years ago! 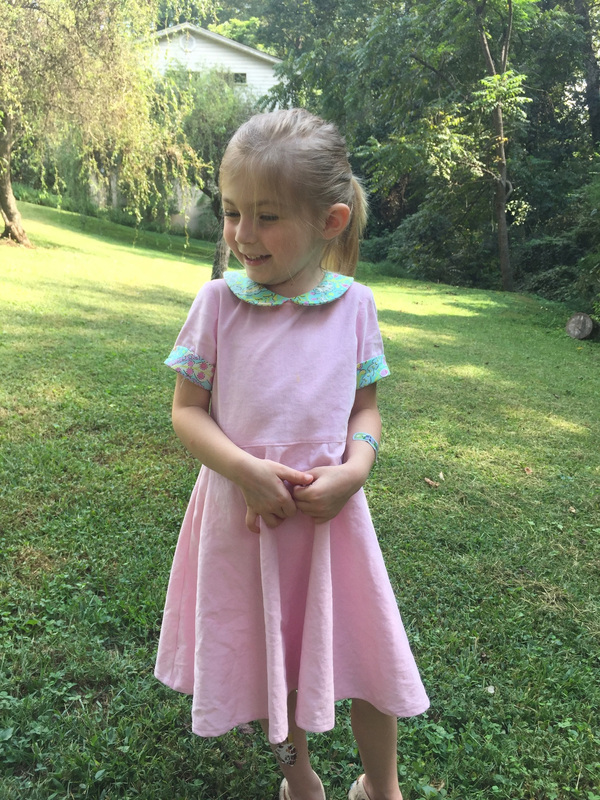 Like so many of you, Oliver + S taught me how to sew and harbored in me a love of sewing. I recently counted up my Oliver + S patterns, and I own 52, including patterns from Liesl + Co. and Liesette for Butterick! It took a lot of thought to pick which of all these patterns I would call my favorite. 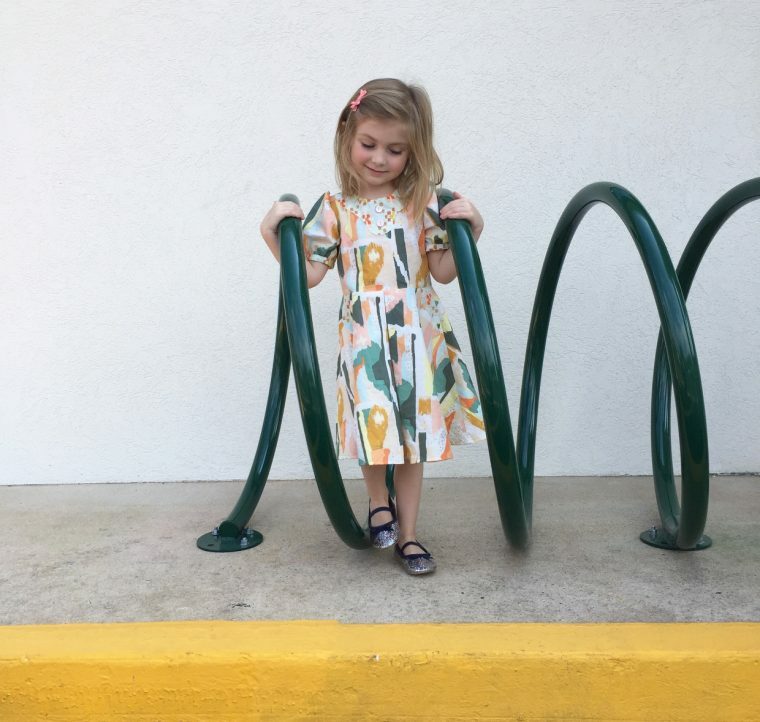 I have a soft place in my heart for the Playdate Dress (my first ever pattern) and a handful of others that I have used for special occasions. I have to say that my most favorite of all would have to be the Building Block Dress book! The dress pattern that comes with the book is so cute and classic. I have sewn it once just as is (although I think it’s time to do it again, in a bigger size). On top of the basic dress, there are so many design options. The options of dresses that can be created seem almost limitless. Upon purchasing it, I have probably created about 15 dresses from the pattern provided with the book. My daughter is also a big fan of this book and likes to go through the options and help me design a dress. Keeping her involved in the design process has helped her stay interested in the things I make for her! It’s also a must have for anyone who wants to make costumes. I have made multiple for her using this book! Costuming aside (and I love costuming with a passion), it’s also a great blank canvas to play around with decorating techniques. The dress below is an A-line, long sleeve dress with fun crocheted edging details. And of course, it can be shortened into tops and blouse. I have also used the techniques from the book to modify the School Bus T-shirt into a dress (but I can’t find pictures of this sadly). I could go on for days about this book. And I know there will be many more iterations of this dress (and even top) to come. Because whenever I dream up something, the Building Block Dress book is there for me. And that’s what makes it my favorite pattern! 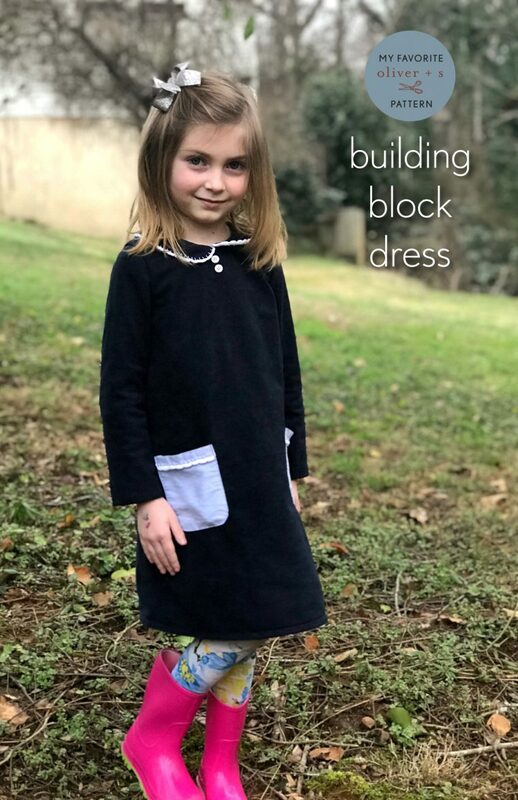 I recently purchased the building block dress book. Did you start with a muslin for fit as it suggests? 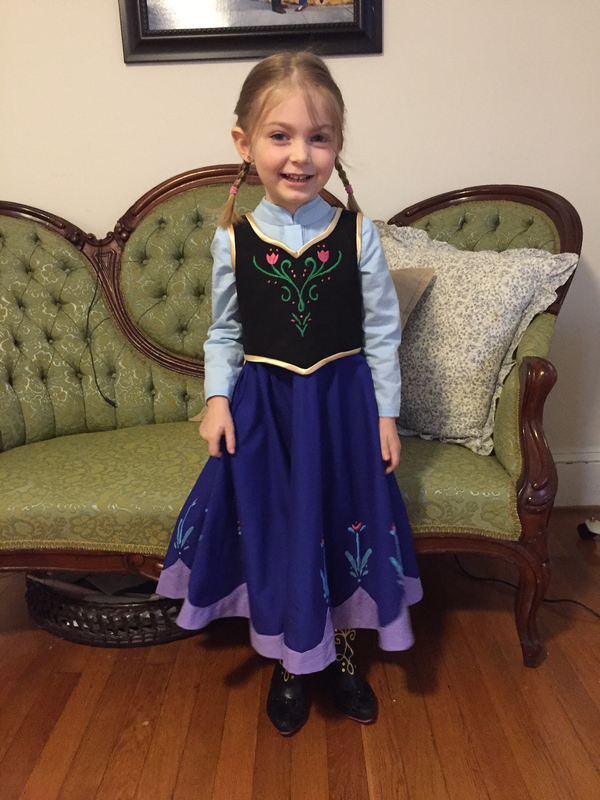 I have some very tall and thin granddaughters and they almost always need alterations to dresses. Also, have you made any using knit fabric? 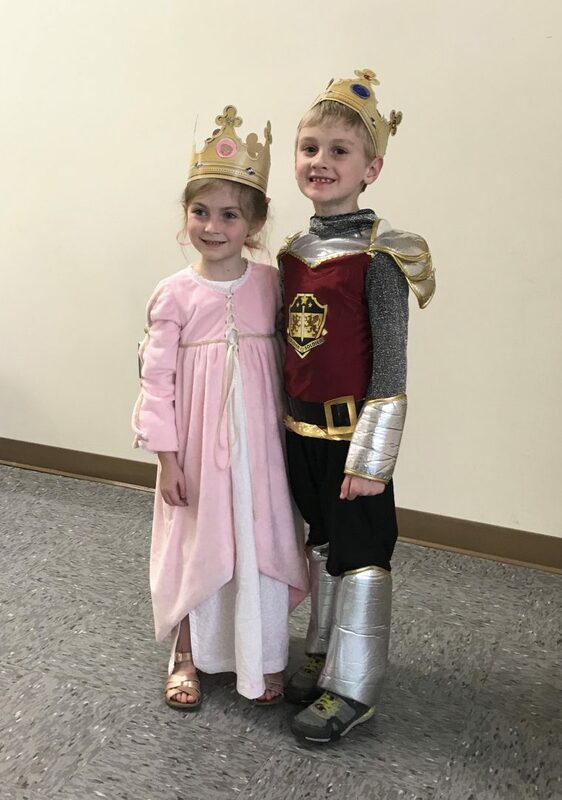 Your dresses and costumes are amazing. I did! I muslined it to fit it her perfectly and then put the finalized copy of the pattern in a clear sheet saver in a binder. And every change I make, I add to a new sheet saver in the binder. So after a while, I was able to pull out sleeves I had already done and add them to a new dress! It’s time for me to re-muslin (is that a word?) as she is getting close to out growing most of these outfits! Thank you! I just made the Girl in the go dress, it was my first knit project and I am ready to tackle more. Great idea to keep patterns in binders according to size. Hope that helps. It works a treat! I really need to make something from this book. Maybe a sewalong incentive is in order!! That Frozen dress gets me every time. I love the BBD book! It’s its own sewing course!